70% of rent can be applied to purchasing your instrument or a new model of the same instrument type (equivalent or upgraded). Free instrument maintenance included for the duration of your rental. Free summer rent included upon renewal of school year rental agreement. Rental rates include "Peace of Mind" rental protection against loss, theft, or damage ($2/month value, not included in 70% buyout rate). 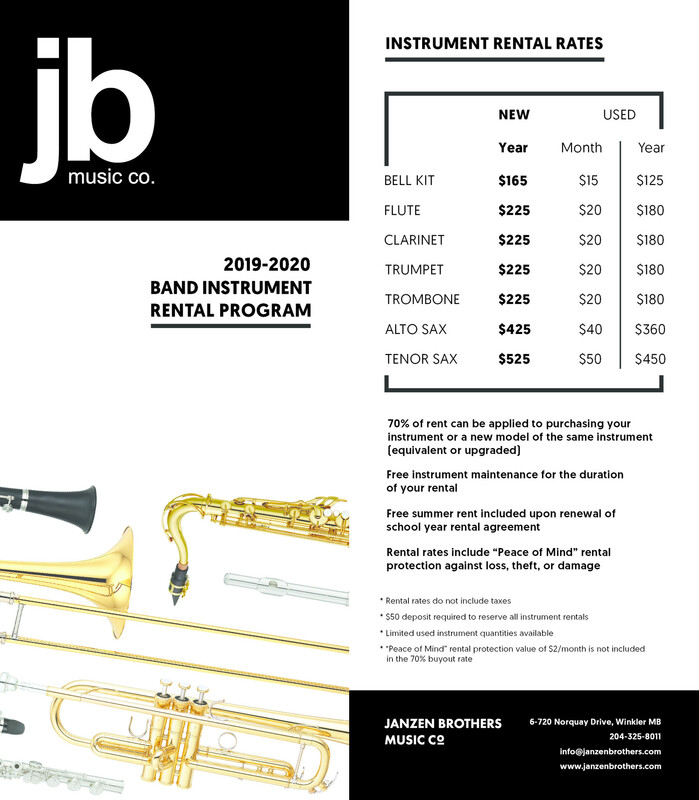 Click here to view our 2019/2020 Band Instrument Rental Brochure. Click here to view our 2019 Violin/Cello Rental Brochure.